Aceptamos niños a partir de los 12 años de edad. Caballeros: Pantalón de vestir, zapato cerrado y camisa. - Extraordinaria cocina de autor, la mejor combinación en exquisitos sabores vascos concentrados en perfectas porciones dedicadas a deleitar los paladares mas exigentes. Para aquellos que buscan una experiencia culinaria, memorable, el encanto de " Tempo " es la mas adecuada decisión. Deja que sus atentos y excelentes, meseros, te guíen a través de un camino elegante y perfecto para disfrutar de sabores incomparables. 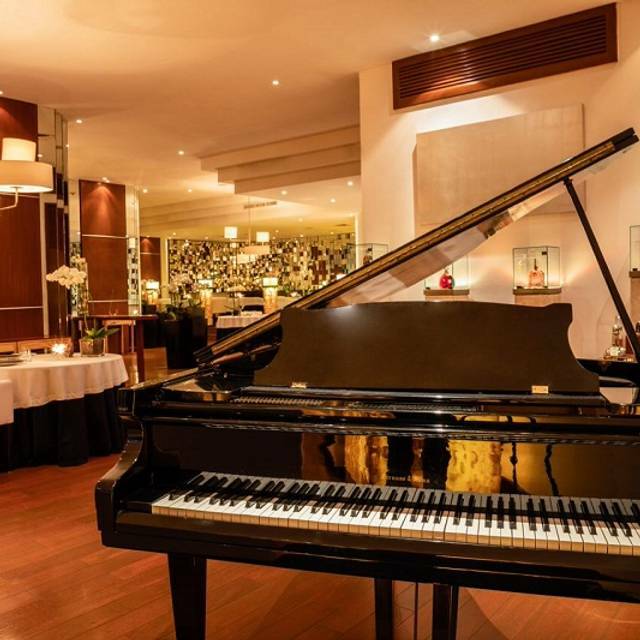 Tempo es un lugar mágico, dedicado a satisfacer gustos gastronómicos brindando experiencias autenticas a todos aquellos que deciden tomar lugar en sus consentidoras mesas. No limites y perfección, son la filosofía del día a día del majestuoso restaurante que sin duda recibirá con los brazos abierto a todos sus clientes. Carlos was amazing exceptional service and more than amazing food! We will be back! We did the tasting menu. It was good and reasonably priced but not spectacular. I paid like$80 for 2 glasses of champagne so that’s where they make their money. 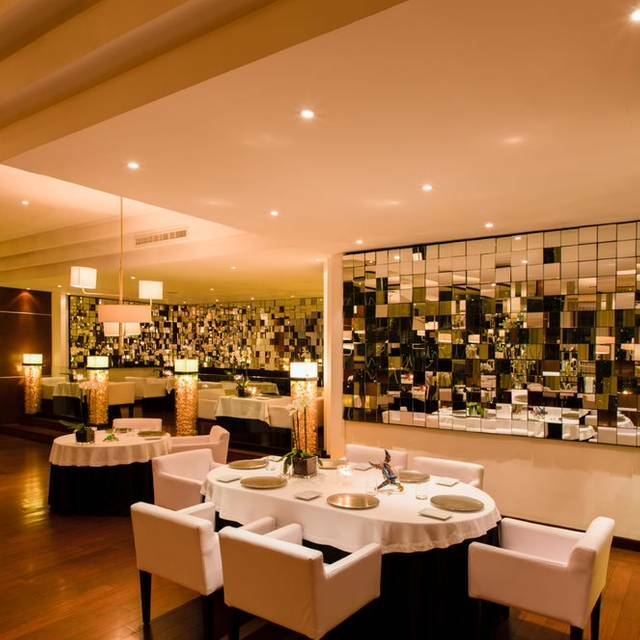 The restaurant food quality, service, and experience is immaculate and definitely exudes a feeling of elegance, sophistication, and finesse. 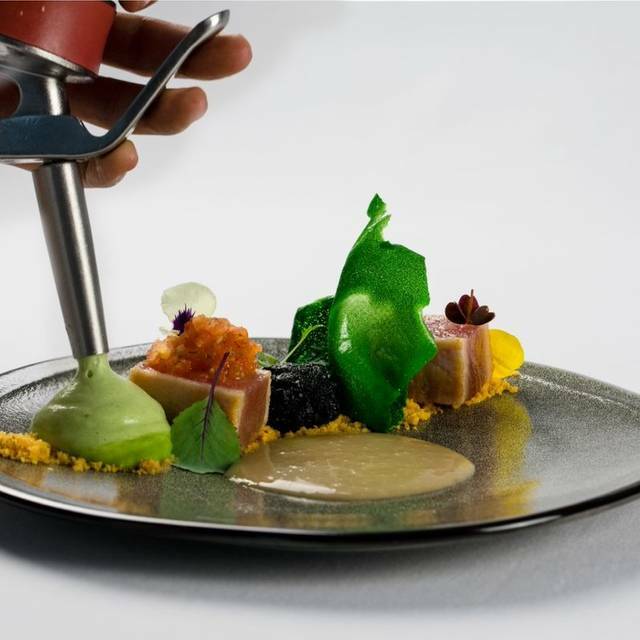 The Chef's tasting menu is a must try, even with or without the wine pairing, this will be an unparalleled experience. As for the dishes, they were portioned well, as this is an 8-course meal, with various snacks and palette cleansers, you will certainly be full by the end of the entire experience. The dishes were presented and plated beautifully. They start you off with a collection of fresh slices of bread and flavored butter (mango, mole and avocado) followed by a few teaser plates to get your appetite going. The dishes were all very tasty, unique and harmonize well with the collective theme of the tasting menu. The two main dishes were composed of a Chilean salmon cooked beautifully, so smooth and at the perfect temperature paired with a red curry, coconut sauce and crunchy bits. The second main dish was a lamb cooked perfectly, it would fall apart simply with your fork and melt in your mouth. Lastly, the desserts, one of my favorites was the apple sorbet with pannacotta fennel and fresh celery. All the flavors were married with a green tea crunchy powder mixed with the freshness of fresh apple and celery. Be forewarned, this is an expensive place to eat. They charge extra for service, water, and offer drinks that were implied as a free gift, but turns out, it was not. Overall, the restaurant cost for two people was $320 CAD, or $250 USD. A nice place, but prepare to pay the price. 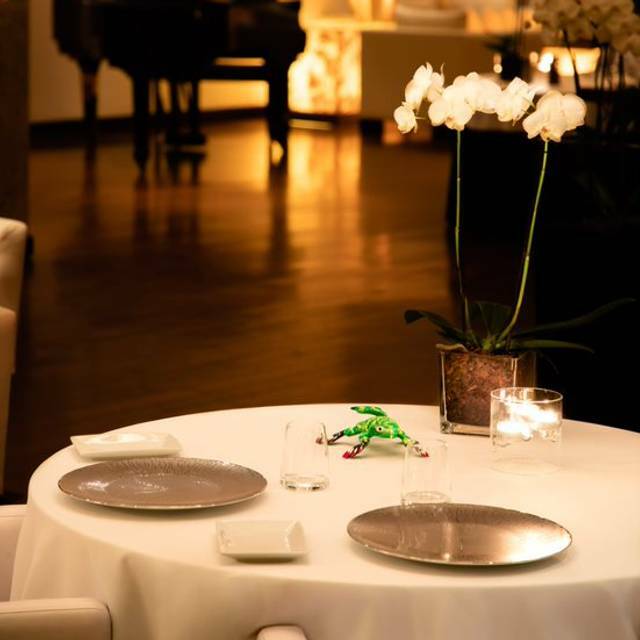 A superb experience of fantastic service, creative cuisine and breathtaking plating! Wine too expensive. Food and service at Martin’s and Basque cuisine’s level, Outstanding! Congrats! Pedimos el menú de degustación y fue una magnífica muestra de sabores, texturas y presentaciones pero el maridaje con vinos recomendados por Carlos, el sommelier, fue lo que hizo de esta cena una ocasión memorable. Excellent service , food, and value for a very high end meal. Absolutling amazing! One of the best tasting menus I've ever had. The staff was incredible and the chef is clearly creative. Every bite was amazing and the wine pairing blew me away! Some of the best wines I've ever tasted! While the food was good, we felt as though this place was trying to rip people off. 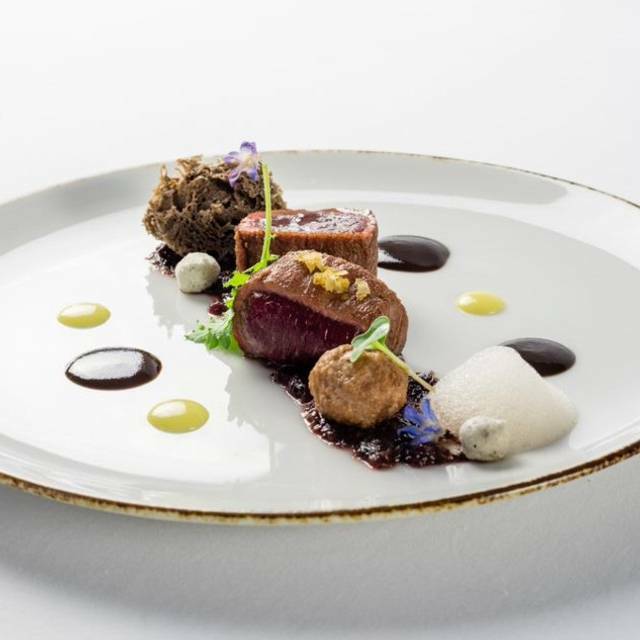 We have been to many high end restaurants with tasting menus, but we have never been charged more than double the amount of food for a wine pairing, which also ended up being more like a wine tasting than a full pairing. They told us it was because the wines were so “high end” and “special.” Out of curiosity, we looked up the bottles and found that many of them were priced at less than $20. It cheapened the whole experience to feel as though they were trying to take advantage. Wow! Best tasting menu ever! Awesome. Fantastic environment. Superb food. 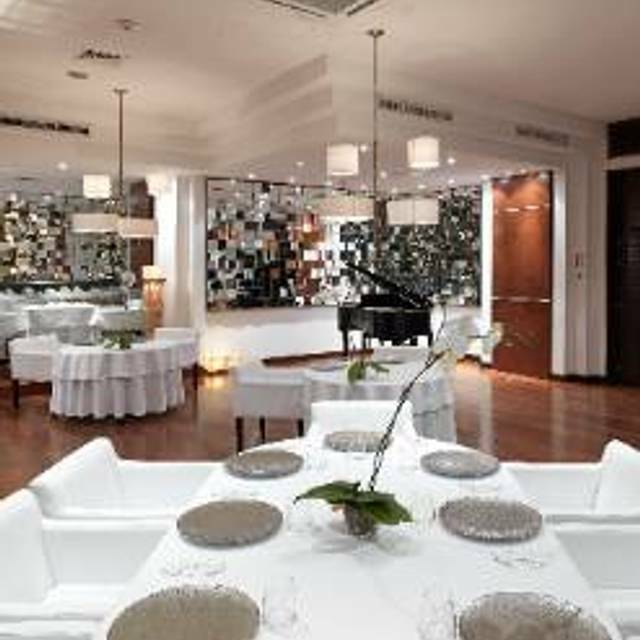 Restaurante muy bueno estilo gourmet , meseros profesionales y preparados para explicarte cada plato, lamentablemente tiene pocos opciones vegetarianas si ben recuerdo solo un plato, optima carta de vinos y muy buen postre, falta quien toca el plano visto que hay en el restaurante. Personal muy amable precios pues un poco altos pero la calidad se paga y sobre todo si uno quiere estar tranquilo disfrutando una buona charla, si vuelvo otra vez ? si creo que si! Impeccable service. A wonderful experience if you order the tasting menu with wine pairings. $210 tasting menu with a wine tasting it’s not cheap. The fish course we had was over cooked, we sent it back, came back and it was raw. The waiter asked how do we prefer it, well we have a problem if you can’t cook it right. The rest of the food was good. Little hyped up place in my opinion. Extraordinary experience! The food was excellent and the sommelier did a very professional job! Highly recomended! On our last night of our vacation we made a reservation for my wife and I. For those whom have experienced Michelin Star service and food - this was at that level. 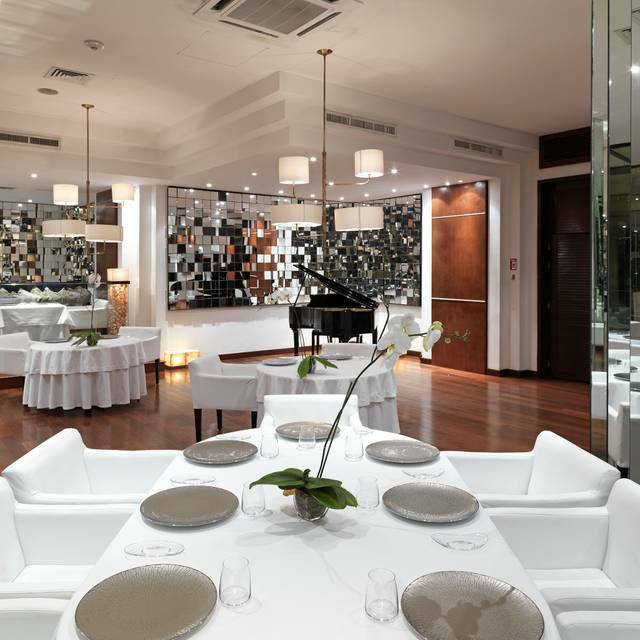 I am not sure how this compares to Martin Berasategui’s other Spain outpost(s), but we were impressed. I did the 7 course tasting menu and accompanied by their wine paring. My wife did al la cart. Worked out great, complete with extra sharing folks. There was a great chateauneuf du Pape and a Sauternes with the paring. My wife’s pair of lobster tails were cooked to perfection. 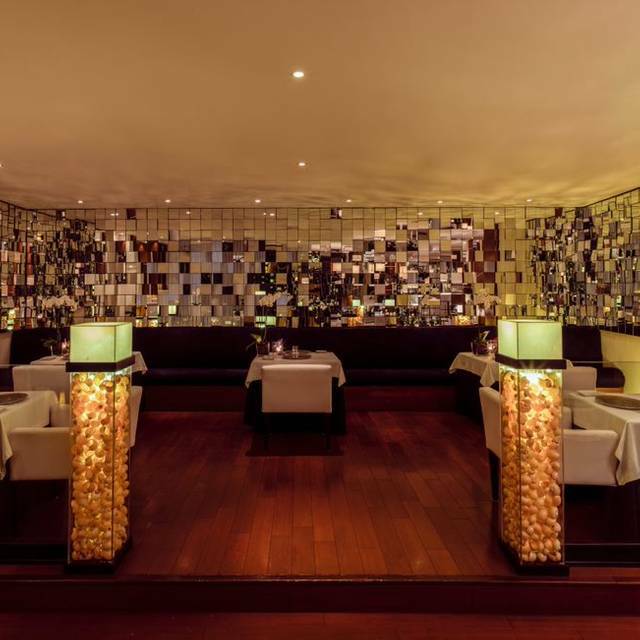 There are not enough superlatives to describe the culinary journey that we indulged in at Tempo! From the butters to the petit fours, each dish was more exquisite than the next in flavors, presentation and creativity! 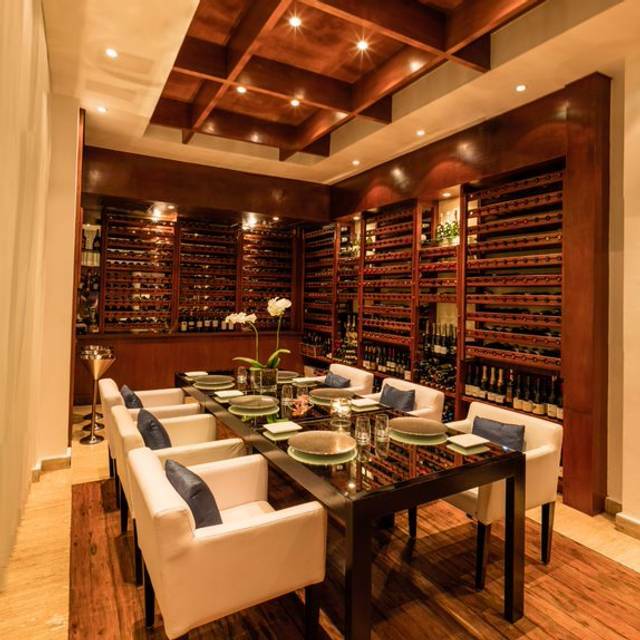 We have dined in many restaurants including a couple of Michelin starred venues but Tempo in Cancun can proudly claim to be truly one of the best anywhere! Chef Medina showed a definite mastery of the skills learned from Chef Martin Berasategui and produced a dining experience that left us in total awe! We are going back and looking forward to another amazing experience! This was our second time at this restaurant and our expectations were very high. In comparison to how wonderful our first visit was, this dinner was very underwhelming. The service was professional in a lot of ways, but very unaccomodating in others. When we wanted glasses of wine instead of a bottle, the waiter hurriedly, disappointedly, and half-heartedly mentioned a few options. The tone with which it was presented made ordering any wine completely unappealing. The tasting menu had its moments (the salmon was very nice) but the first 5 offerings or so were way too salty and overpowering. The dessert was nice but generally lackluster. Tempo used to hold a special place in our Cancun memories but this visit really left a bad taste in our mouth. I hope they can reassess their operations and return to their high level of old. Had an excellent experience! We tried the vegetarian tasting menu but the chef was kind enough to change one of the items to seafood since we are pescatarian. The service was impeccable, the servers were constantly checking on us. The ambience is great. We got several chef’s compliments as well. All in all it was a 5 star experience worth more than what we paid. Buenas tardes estimado Eiman, Gracias por haber elegido TEMPO by Martin Berasategui y por dejar sus amables comentarios sobre su experiencia. Nos sentimos felices de saber que la haya disfrutado al máximo. Esperamos verle de regreso en un futuro. Calurosos saludos. Unbelieavably wonderful in so many ways! Food, service, wine list and ambience were exceptional. I must have gone on an off night, because this place doesn’t even register on the Michelin spectrum, in my view. Hands down best restaurant I have been to. Chef's compliments were delicious, restaurant is beautiful and staff supper attentive. We had a good time there. Our waiter, Jose, is very patient to explain to us the food and answer questions. Overall, we had a wonderful time. The most delicious meal ever! They just won the AAA 5 diamond award for 2018 and it is deserved. The tastes were exquisite. The presentation was artistic. We all had the tasing menu. I would highly recommend doing that if it’s your first time at this restaurant. You won’t be disappointed. The service was also 5 star. They made tonight a very special night that we will always remember and cherish. We will definitely come back!! Best value is $78 tasting menu of 7 courses but u get 3 extra up front as a taste plus chocolates at the end = 10 courses. last year was better than the other day. Place was rented out to a very noisy group so we ate in the private wine room which was cold. combinations of foods were slightly weird as were some textures. Chef is brilliant and the restaurant very pretty. Was greeted and then seated. Couch/booth we were seated in smelled musty and stale. Yes I said the booth smelled musty. We asked to be moved. We were moved. A loud group came in the front door being very loud and started playing the restaurant piano. Staff and management did nothing to remedy all of the commotion. We asked to be moved again to a quieter place. First couple courses were stunning. The tuna tartare was some of the best I had and the ravioli was mouthwatering. The main came out and was super rare and I asked for medium. They remedied. I have been to a ton of fine dining establishments even James beard award winning Establishments. Worst experience at a fine dining establishment ever. Hopefully it was just a off night. experiencia culinaria inolvidable. Ingredientes exquisitos, texturas que nunca había experimentado. Atención inmejorable. Restaurante de vanguardia muy bueno. La comida fantástica y original. Wonderful food and service in a beautiful space! Excellent service, beautiful decor, and interesting food. The regular tasting menu was terrific, but the vegetarian one could use some variety. Too many pour-at-the-table souls and cream sauces. Lovely place, outstanding service, perfect presentation of the dishes and of course amazing food. Big different from Martin bersategui. It’s not special restaurant! Standard average all dishes. Not pay a lot of money. I took my partner here as a surprise for her birthday. One of best meals we have ever had and by far the best tasting menu. The price does not justify the quality and service, it is well worth the money. Sabores y texturas diferentes, con explosiones de sabor en algunos bocadoscon algunos platillos algo rebuscados y otros muy simples que logran el objetivo. El servicio fue genial, atento.